VISITORS to the ongoing Shanghai Jiading Shopping & Tourism Festival can experience 34 themed activities until early November. A luxury car is on display at the Shanghai Automobile Exhibition Center as part of the Shopping and Tourism Festival in Jiading.During the annual festival, 34 themed activities will be availed until early November this year, including a xiaolong dumpling fete, a clown carnival, auto shows, a lawn concert and a family marathon race. Visitors to the ongo-ing Shanghai Jiading Shopping & Tourism Festival can experience 34 themed activities until early November. 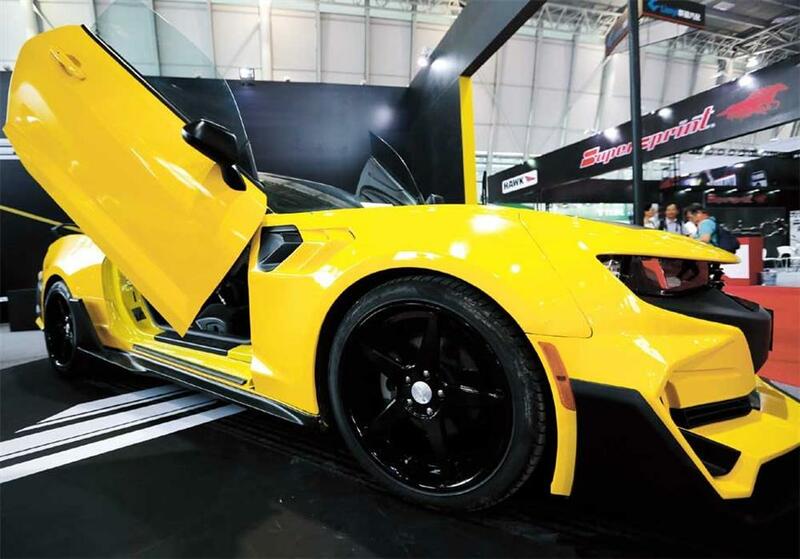 At the opening ceremony at the Shanghai Automobile Ex-hibition Center on September 8, visitors appreciated perfor-mances and had the chance to see hundreds of luxury cars. During the three-day 2017 China Auto Salon from September 8 to 11, visitors en-joyed fashion music, hot-selling food and watched a car-drifting display. “It’s the first time for us to join the exhibition, and we feel it’s full of energy,” an exhibitor from auto parts manufacturer TEIN said. NIO, an automotive start-up from China, recently shattered the Nurburgring lap-time record for electric vehicles with its NIO EP9. The car was at the festival for visitors to experience. Over the past weekend, a family marathon race was held at Jiabei Country Park and a grand ceremony was witnessed at the Confucius Temple in Jiad-ing to commemorate Confucius. The popular AEMI World Clown Carnival also returned and at-tracted more than 40 clowns from 12 nations. If you missed al l those events, don’t worry, as more are coming. Starting September 28, the xi-aolong dumpling fete will kick off in Nanxiang Town, where visitors can enjoy dumplings, folk operas and a temple fair. On the opening day, hundreds of tables will be laid on Nanxi-ang streets to allow visitors to feast on xiaolong, an old town tradition. On October 15 there will be a lawn concert at the Shanghai Auto Expo Park. For nature lovers, they can pick fruit till October 8 at Juyu-an Orchard as figs and dragon fruit are ready to harvest.